Don’t you love it when a plan comes together! All square going into the final test (okay we would have preferred 2-0 Lions) and our plan to update 30% of the branding for the final two events comes into play. We have an important part to play as we are setting the mood for the supporters by changing the messaging and tempo both in print and on screen. All change and attention turns to Wellington, our NZ third print supplier and our biggest challenge of the tour, back to back events at the same venue with different audiences. Friday night sees the Gala Dinner, Saturday sees The Lions Den. We’ve created a great experience for both and a few nightmares for the installation team but we all agreed it was worth the extra effort! 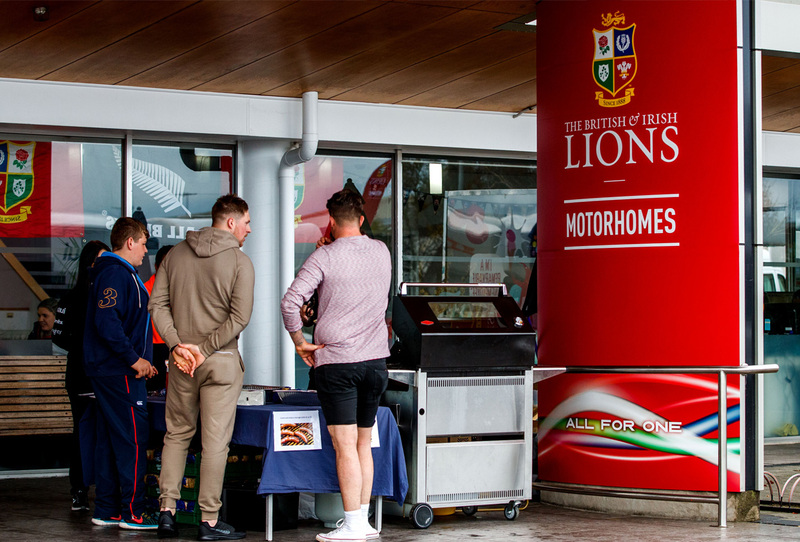 It’s the first test between the British & Irish Lions and New Zealand this weekend and preparations are underway at the two pre-match events in Auckland. 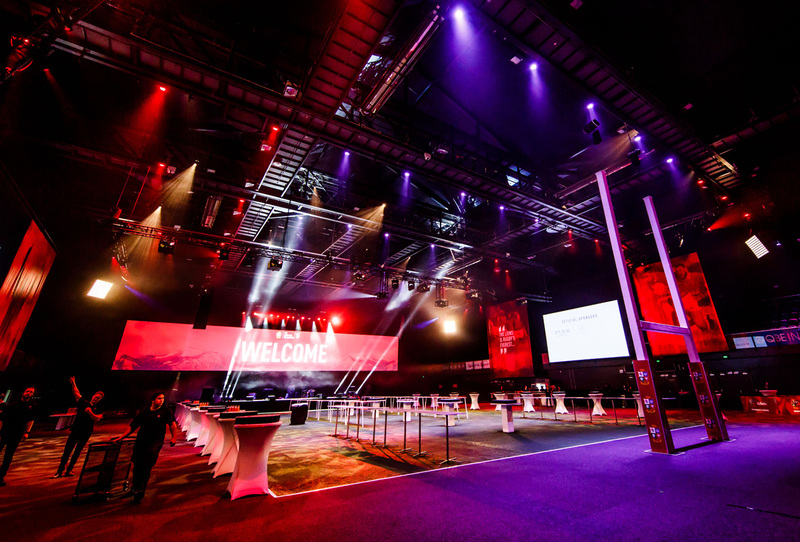 The Eve of Test event at The Auckland Viaduct Centre will see Lions fans congregate for their first big event of the tour. The next afternoon The Lions Den opens its doors for thousands of fans to whip them up into a frenzy ahead of kick off. We’ve produced all the exterior and interior branding along with the on-screen elements. 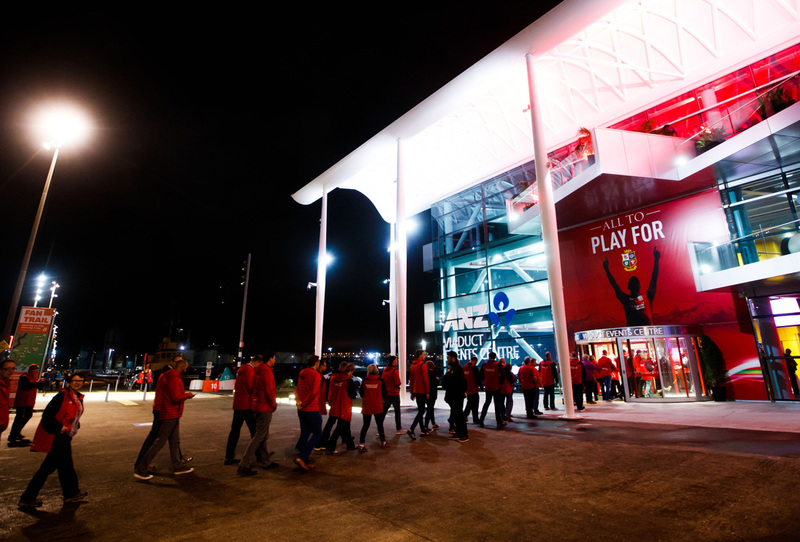 The first batch of British & Irish Lions supporters have landed in New Zealand ahead of the Test Series against the All Blacks. 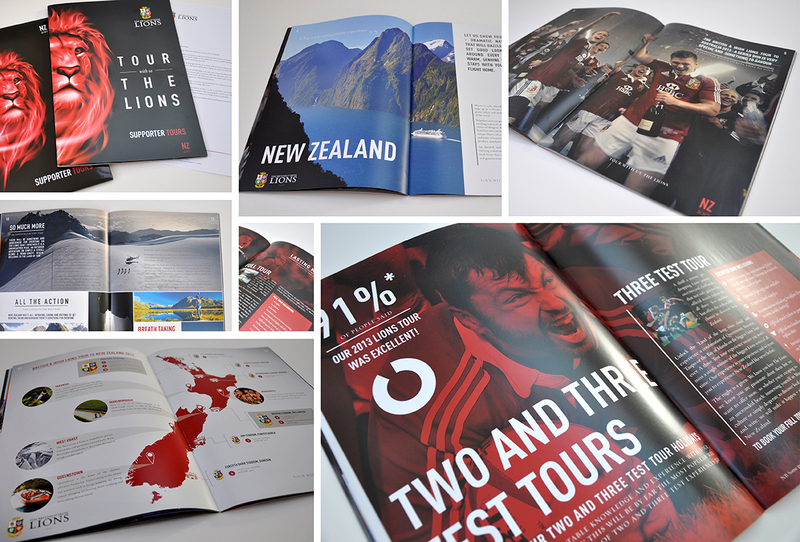 They will be carrying their handy 96-page Tour Guide we carefully compiled which we crammed full of useful info, stats, team and destination guides, editorial features and much more as part of their branded travel pack. They will also be greeted at every touch point with tour branding which we put together over the last month. 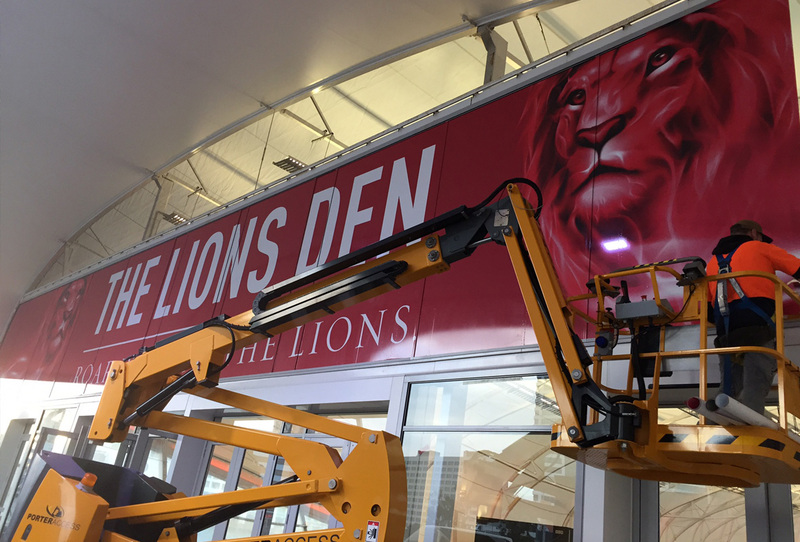 In 2016, ahead of the launch of the 2017 Lions Tour, we began work on creating the brand for Lions Dinner Series to be held ahead of the tour group departing for New Zealand in May 2017. Having worked on the 2013 Series we were acutely aware of the many challenges faced which was compounded by the fact that both kit provider and title sponsor would be changing for this tour, something that hadn’t changed for eight years. We created a ‘Leading the Lions’ figure that conjured up the Lions spirit, that was suitably unidentifiable and that harked back to the theme of the event series which was former leaders of the Lions. The approach insured that all restrictive challenges were met and we even put in place and revised version once the various deals were announced by shooting a similar image with a mystery player in the new kit. This has now come full circle with the promotional campaign now moving into the delivery stage with the first two events in Cardiff and Dublin already taking place with a healthy increase in table sales as well as pushing the series benchmark in terms of brand delivery. 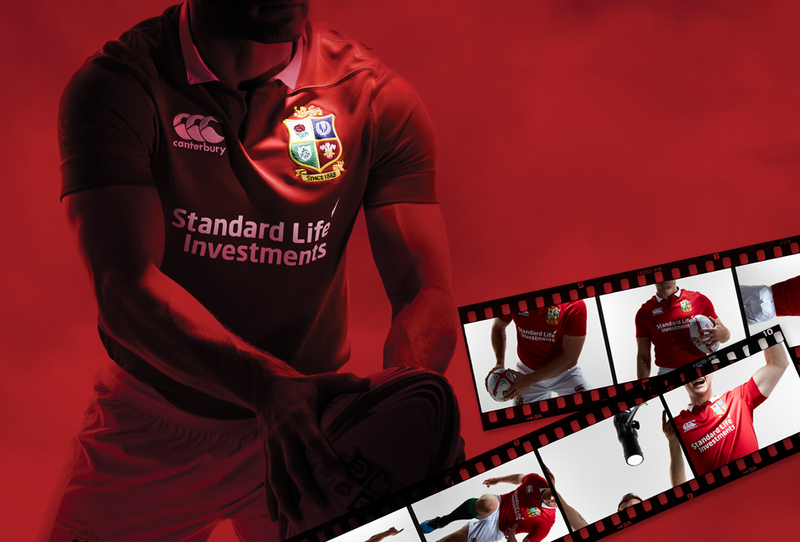 A British & Irish Lions Tour is a 36-month cycle and as you enter the all-important tour year it’s key, particularly for pushing supporter tours, to make a song and dance about it. Sixty percent of tours are already sold by this time but the final forty percent are harder to shift so generating momentum is vitally important. For 2017 we initiated a countdown design to stimulate interest which was used in both animated and static form across the digital landscape (advertising, social media, EDM) as well as being backed up in print. 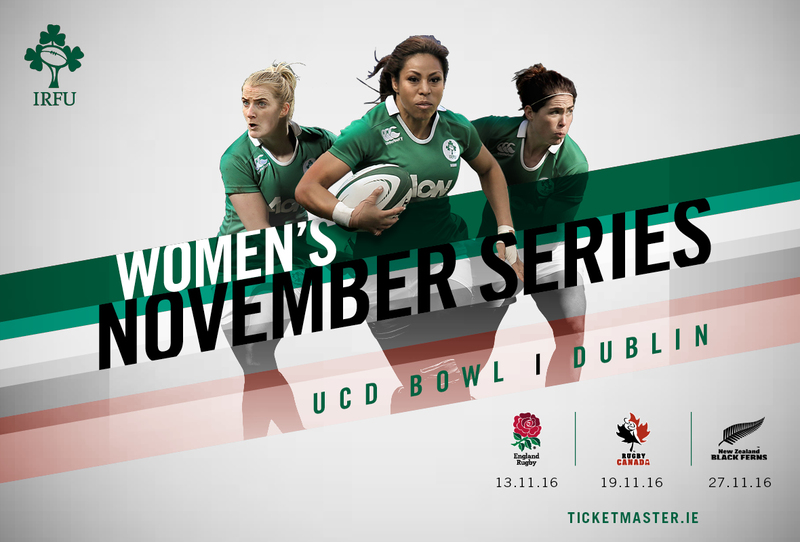 The Irish didn’t want to leave it to luck in the autumn, with a lot of work being done on hosting the Women’s World Cup this summer, it was important for the IRFU to have a visible presence during the Women’s Autumn Internationals. We created a campaign to sit alongside the men’s tournament to generate interest and galvanise support while showing that women’s rugby in Ireland was a serious affair. 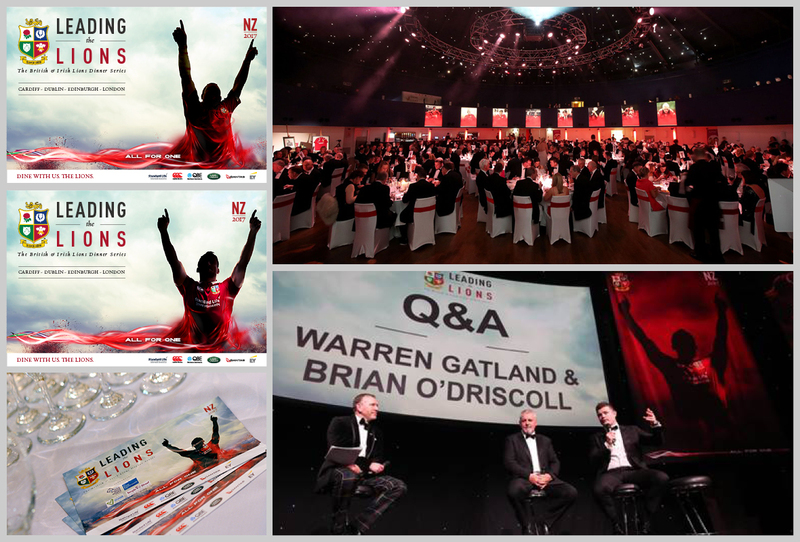 Spread across the IRFU digital channels in both animated and static format whilst being back up by big screen adverts at the Aviva Stadium and in print via the programme and local press the campaign was well received and positioned the November Series as serious entity. In a North London photo studio in early September the top-secret operation began to shoot the new Lions Jersey. Our objective was to come away with a quantity of images that could be used over the coming months once the shirt had been launched in November. There was also the fact that although we would be using a professional player as our model, we would not be able to show their identity as the make-up of the squad would not be known for six months and there are strict guidelines on player usage in terms of nationalities and prominence so these images need to get round those. The shoot, and subsequent creative treatment, allowed us to have a library of imgery fit to use in the lead up to the 2017 tour. 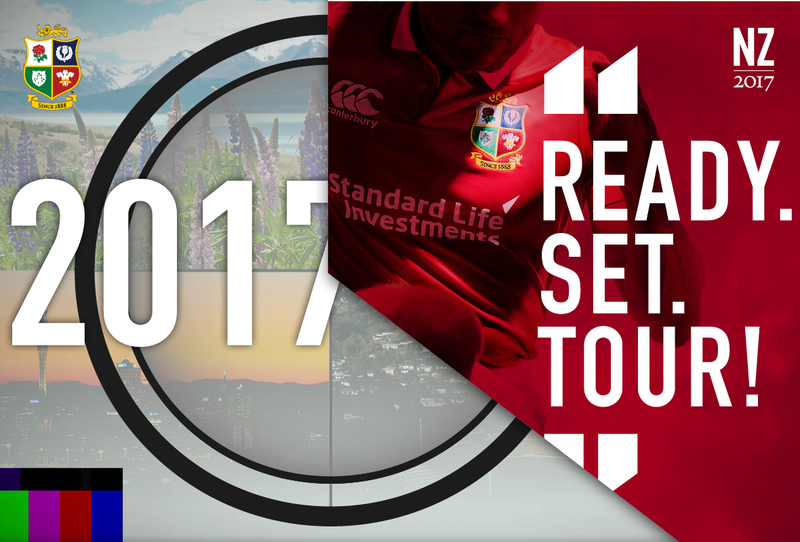 The British & Irish Lions 2017 tour to New Zealand is just under a year and half away, but we’ve been busy working away since last year for Lions Rugby Travel ready to launch their products to the legion of die-hard fans from the home nations who’ll be following them across the world. Thousands of supporters had already been successfully encouraged to pay up for a priority access pass that entitled them to early access to the 30 plus packages available and we needed to produce a suite of assets fit for the launch of a product that can carry a hefty price tag north of £10k per person. Working within the Lions Brand Guidelines we produced a 24-page brochure aimed at generating enough excitement and passion to convince the captive audience to hand over their hard earned money. Following a series of teaser communications, the customers were then mailed their Priority Pack with the objective of pushing them to head online and book their tour ahead of the masses. A series of PDF itineraries was also produced that could be fired out to telephone callers, with the ability to link straight through for online purchase purchase should they wish to proceed. With the initial sales period almost over, figures are up 50% on the same period in 2013 and we are now busy converting the pack for use during the general sale period. 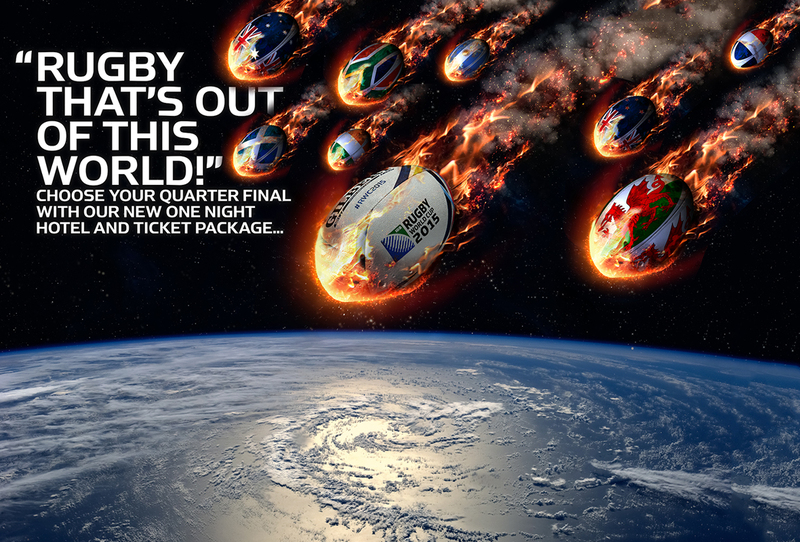 By mid-October the worst case scenario had been realised and England had become the first host nation not to make it to the final stages of the Rugby World Cup. Stuart Lancaster wasn’t the only one left with his head in hands as countless front line England sponsors were no doubt left clasping several ad campaigns that would never see the light of day and our client, England Rugby Travel, despite their name, were still very much open for business with Quarters, Semis and a Final to sell. Luckily a few months earlier we’d had an honest discussion posing the question of what if the impossible, now not so, were to happen and had advised that all final stage branding for hotels and other events be generically branded. We’d also discussed how we should approach promoting selling packages for the final stages so when England trudged off the field in Manchester we were ready, despite being disappointed to flick the switch to promote to the home nations that had fared somewhat better. The approach paid dividends as the tournament saw ERT have their most successful sales despite the lack of success on the field.